Battersea is an area of the London Borough of Wandsworth. It is located in an inner city area of South London, to the south of the River Thames. 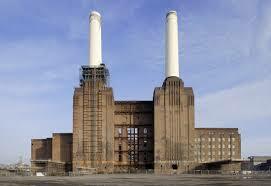 Famous landmarks include: New Covent Garden Market, Battersea Power Station, and Battersea Dogs and Cats Home. Battersea can be reached by car via the A3 and A3205. Battersea has good public transport facilities. The nearest railway stations are Clapham Junction, Battersea Park, Queenstown Road, and Wandsworth Road. Lanes is aware that pupils often lead busy lives. At Lanes, pupils are give the freedom to book lessons to suit their schedule. Pupils can choose from regular weekly lessons or occasional single lessons. Lanes have been providing driving lessons in Battersea, London for many years. Please call us today on 020 8166 5678 or click here to send us an email via the contact page. Lanes have a team of driving instructors in Battersea, London. Please call us today on 020 8166 5678 or click here to send us an email via the contact page. Lanes have a selection of female driving instructors in Battersea, London. Please call us today on 020 8166 5678 or click here to send us an email via the contact page. Lanes have a selection of automatic driving instructors in Battersea, London. Please call us today on 020 8166 5678 or click here to send us an email via the contact page.